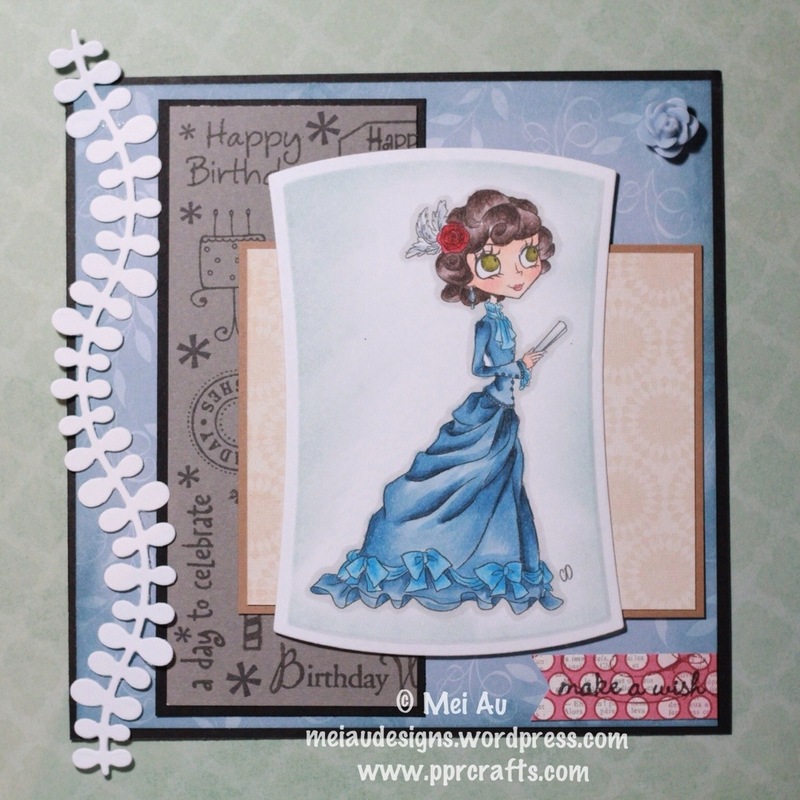 This week at Creative Fingers our challenge for you is as usual ANYTHING GOES!! 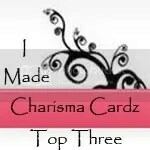 But if you would to join us DT members our theme is ADD A CHARM! Our wonderful sponsor is Aurora Wings! 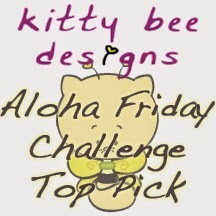 I’ve used the image Hydrangea Sprite for my project this week! This is my very first attempt on water coloring and boy, I’m pretty amazed with the turnout!! As you’re reading this I’m already on my second attempt with the water color paint! On top of the paint I also used some Tattered Angels Glimmer Mist to add a pearl effect. Unfortunately the glimmer cannot really be seen in the photos. I really tried!! 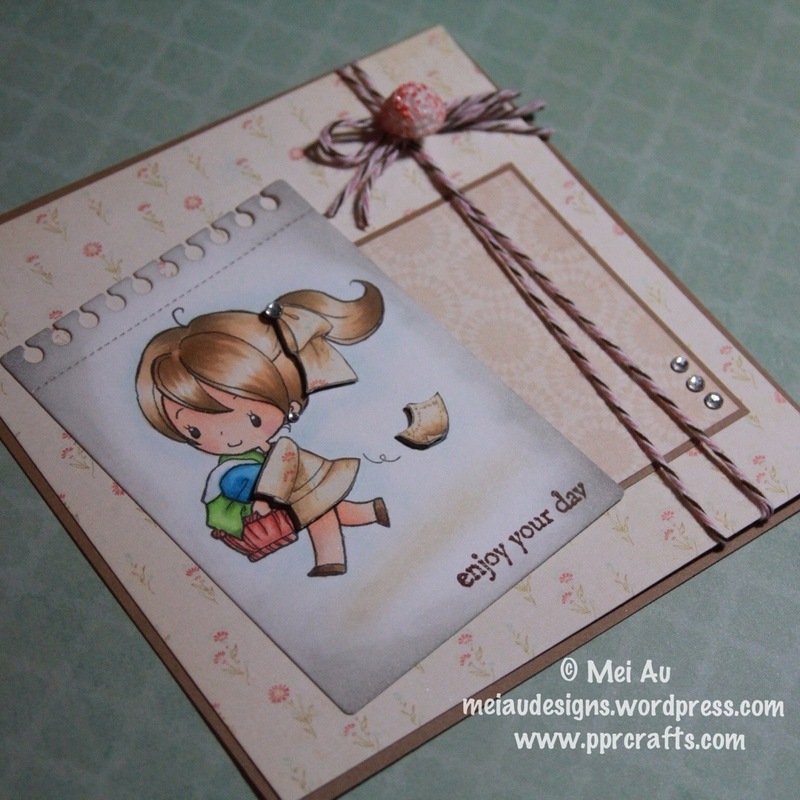 I’ve used the sentiment from The Greeting Farm Lucky Bunnies set. 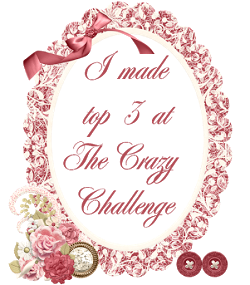 The Ribbon Banner Die is from My Favorite Things, Scalloped Rectangles is from Spellbinders and lastly the design papers are from My Mind’s Eye. Oh! 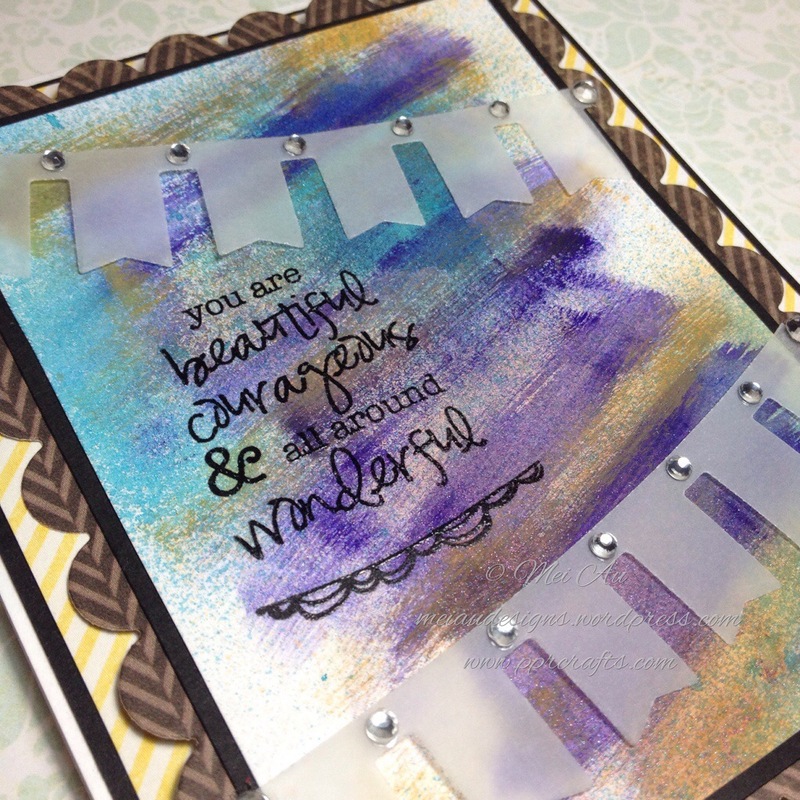 And gems are from Want 2 Scrap! 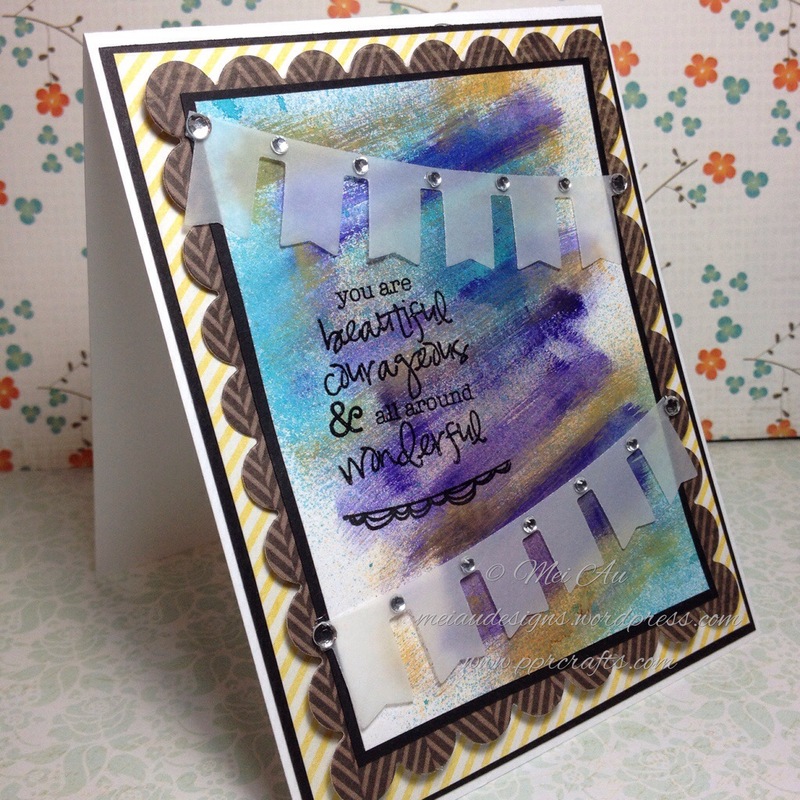 I found that stamping the sentiment wasn’t good enough after water coloring and misting, so I used clear embossing powder to make the sentiment pop! Really darkens the black ink making it stand out. Hope you enjoyed this card as much as I did! 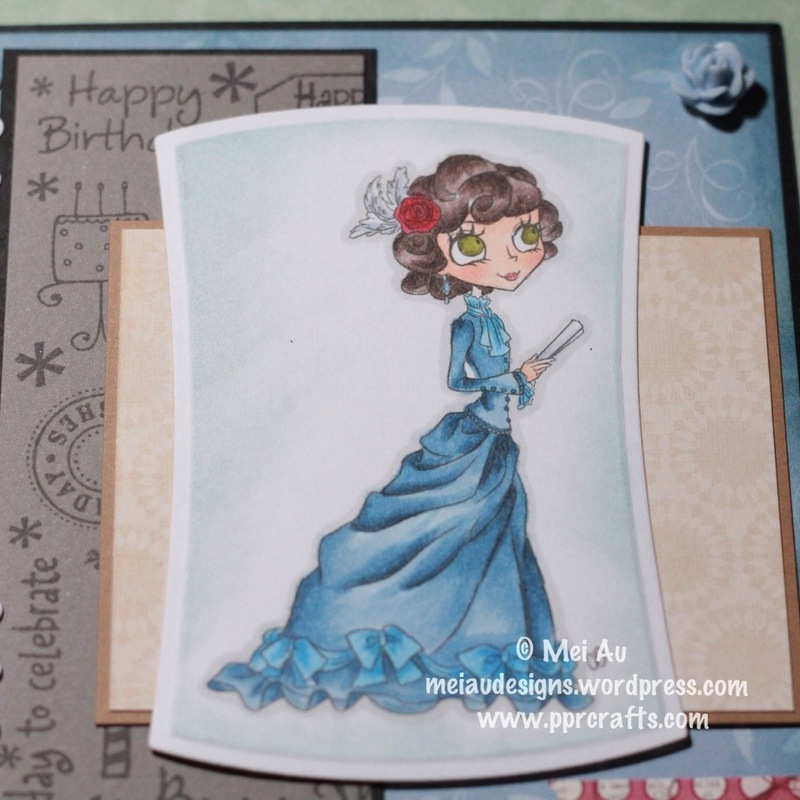 This week at Love to Create our challenge for you is CAS and/or Classy & Elegant! 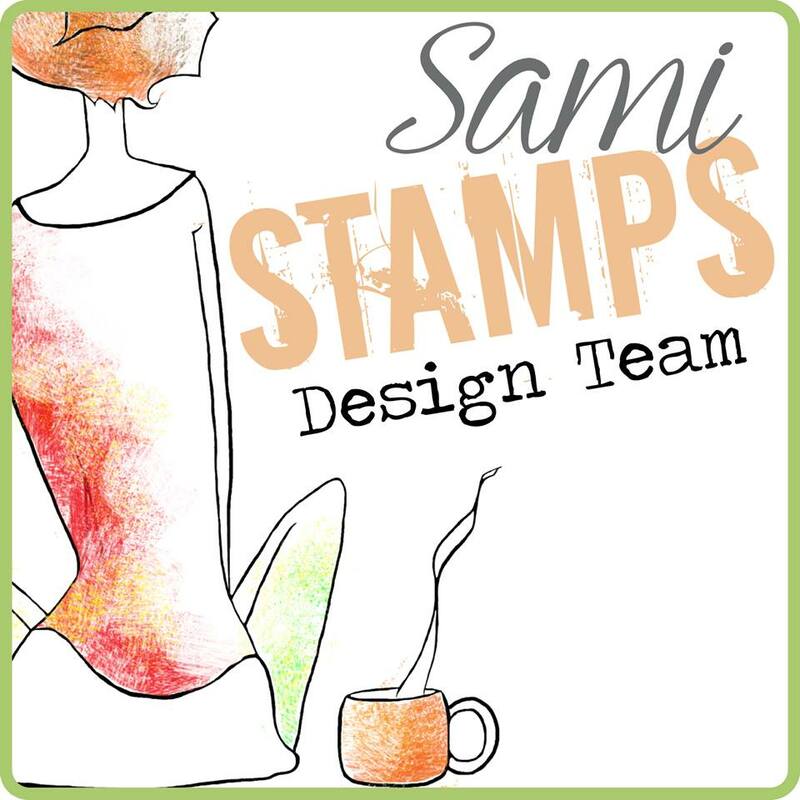 Our two wonderful sponsors this week is Milk Coffee and StampArt Designs by Kathryne! We have a line up of sponsors this month! 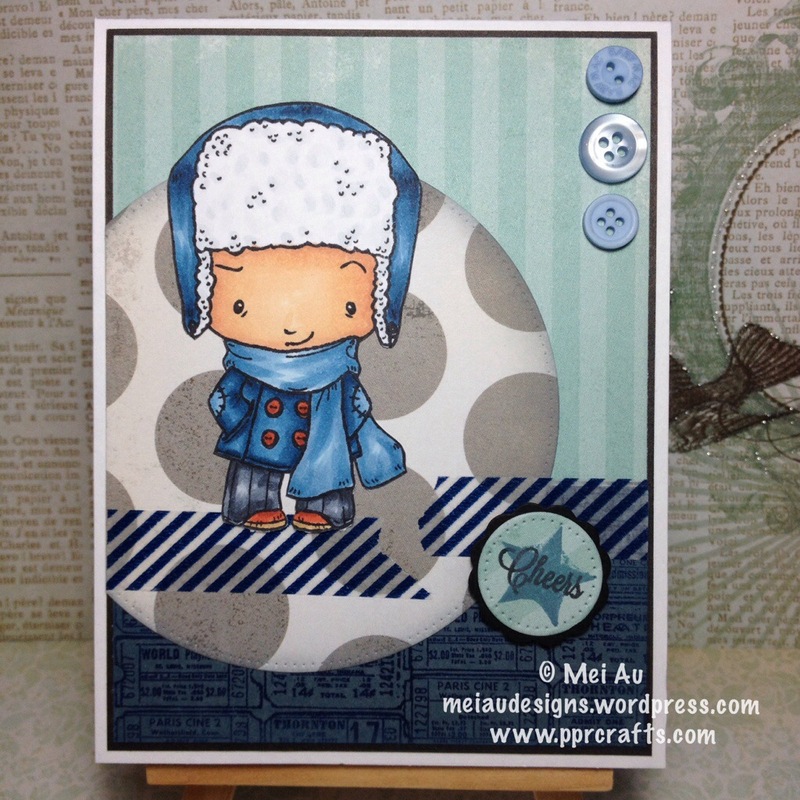 I’ve used the stamp set from TGF OA Warm and Toasty. 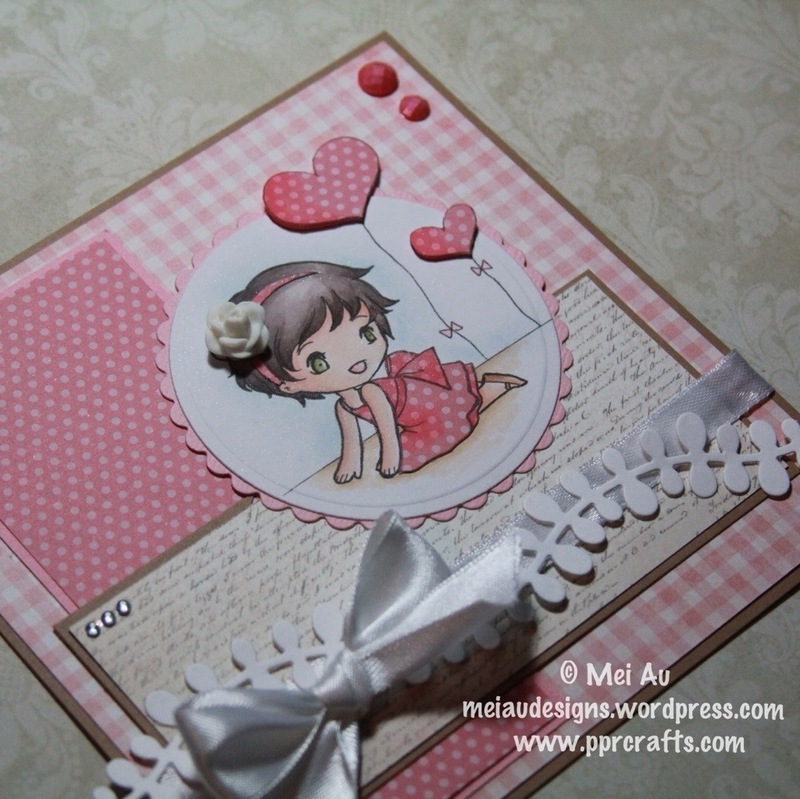 The paper is from MME Miss Caroline Dolled Up “Quaint”. Make sure you link up for your chance to win it all! 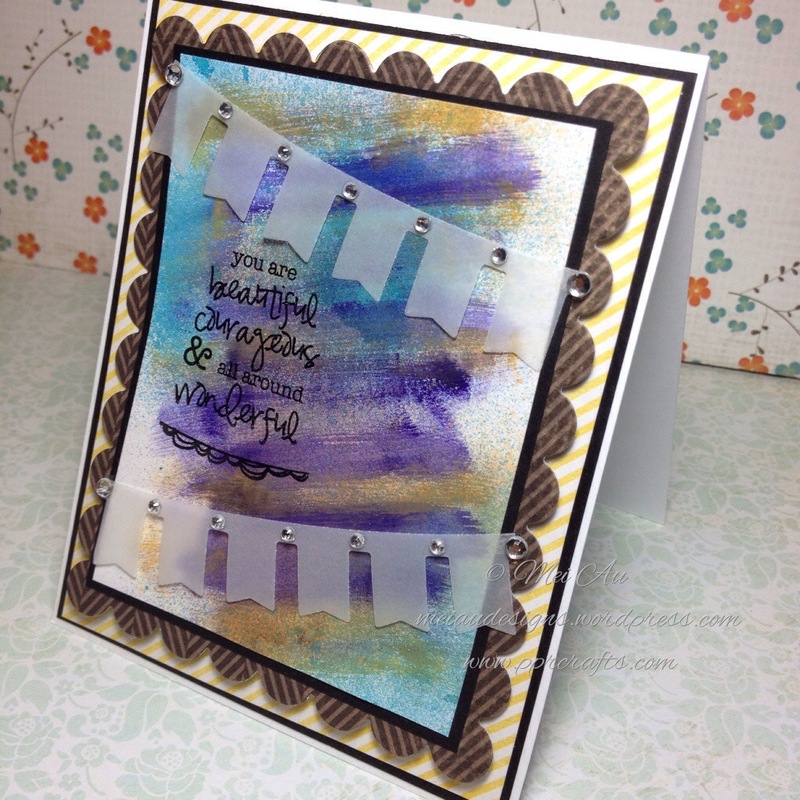 This week at Creative Fingers our challenge for you is as usual ANYTHING GOES!! 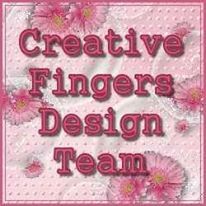 But if you would to join us DT members our theme is MORE THAN 1 LAYER! 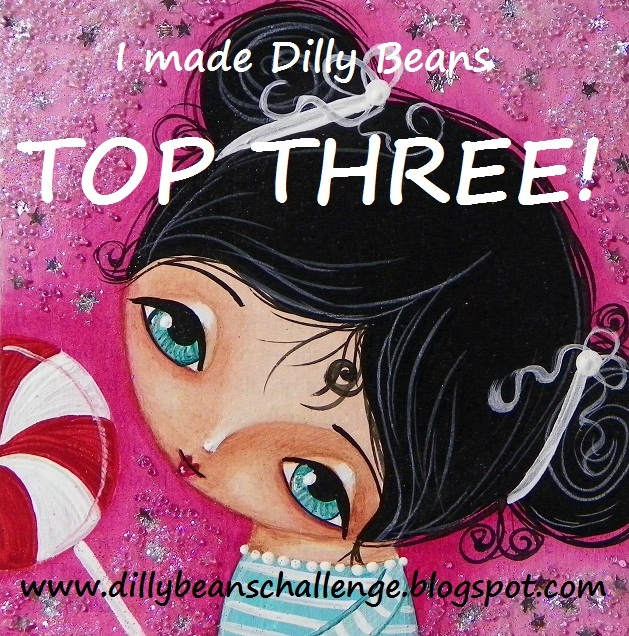 Our wonderful sponsor is Dilly Beans! For my creation I used the image Amalia’s Heart. Make sure you link up with us for a chance to win! 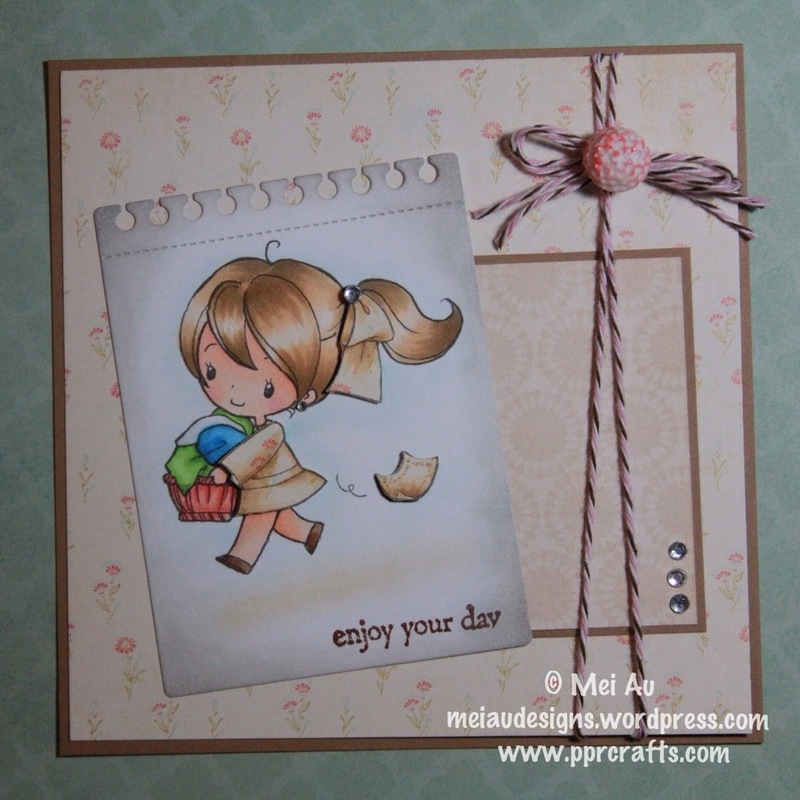 Totally Paper Crafts – Cutie! You got it! 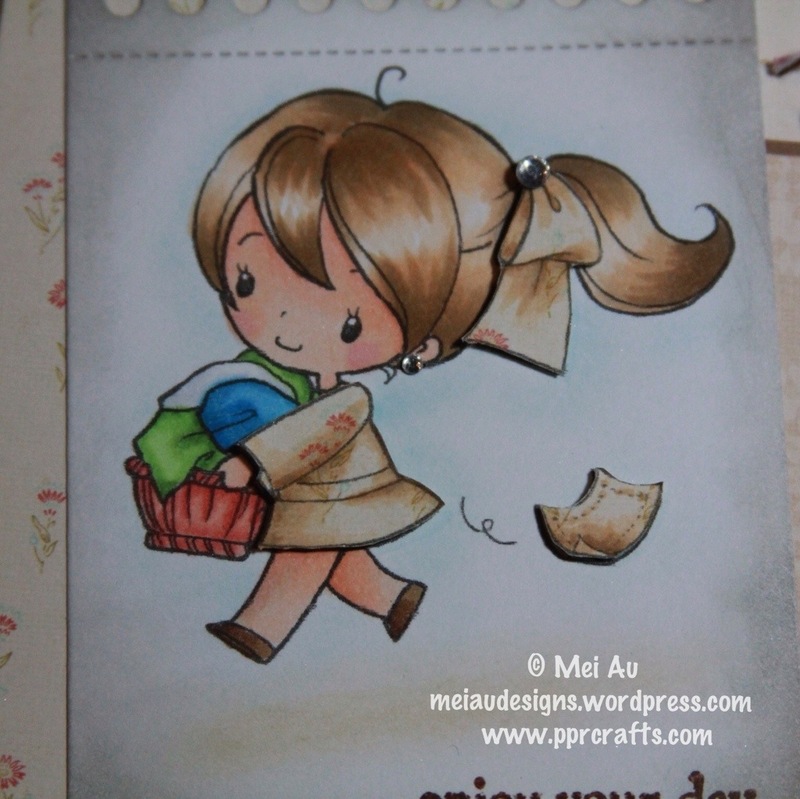 I made another card to submit to the Milk Coffee DT Call Paper Piecing Challenge. 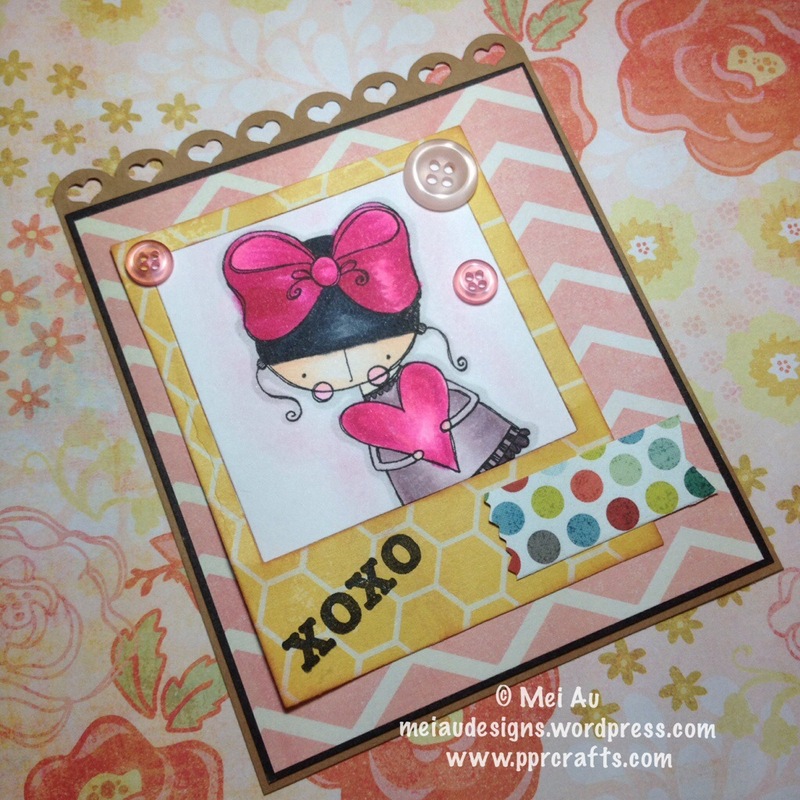 Yes I’m really in love with their digi’s and this DT call gave me a chance to really play around with them and I had so much fun with the paper piecing challenge. I have to say I did have a tough time figuring out with sentiment to add to it since the image isn’t of any particular holiday/occasion. Can’t really say “HAPPY LAUNDRY!” But you have to say this image is SUPER CUTE tho! 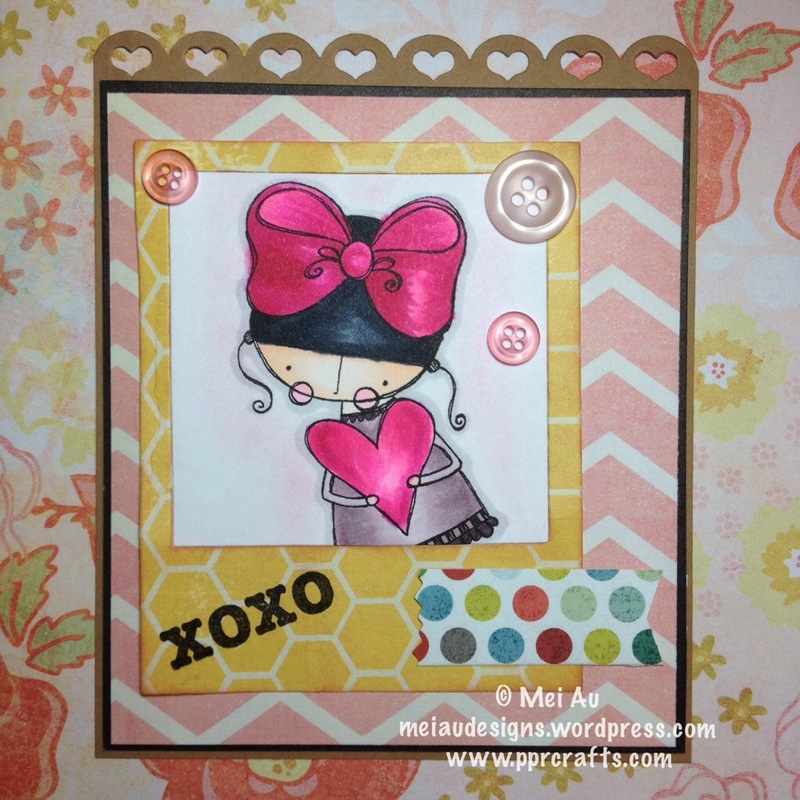 I was deciding between a couple other digi’s I have on hand, but this one was just too darn cute to not use! Oh, I guess I forgot to mention, this image is called Sally and her Laundry Basket. She is actually a freebie on the Milk Coffee blog here. 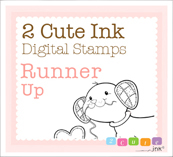 Don’t just stop there tho, there are lots of great freebies available and they’re all gorgeous! You can’t really tell I used the same papers on the dress and the background, but on the last picture you should be able to see it a little better. 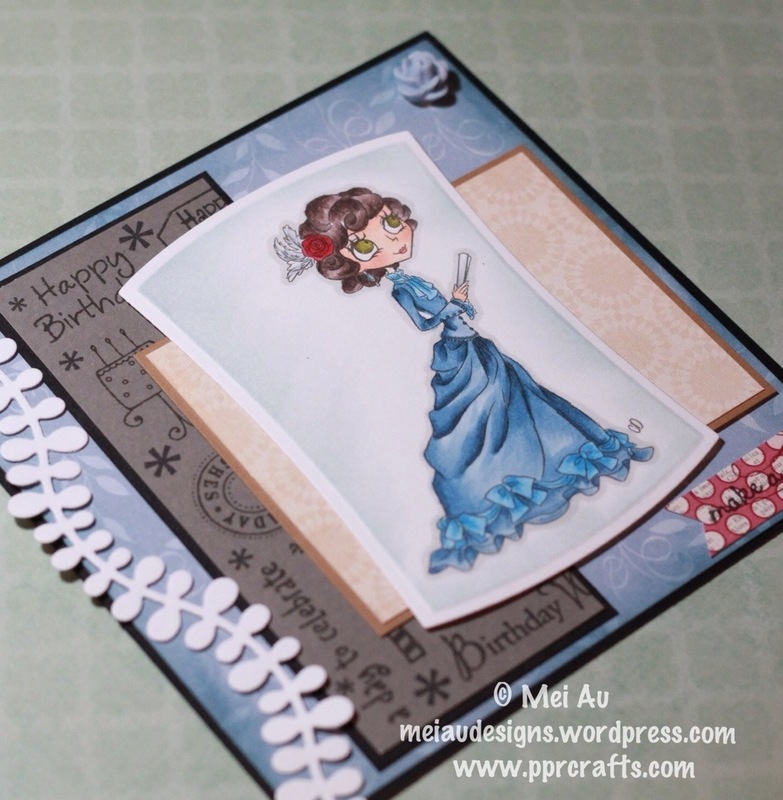 If there is one thing I learned about paper piecing from this challenge…shade the paper…it makes such a huge difference than just piecing a dp…it makes the paper blend right into the image so much better! I LOVE IT! 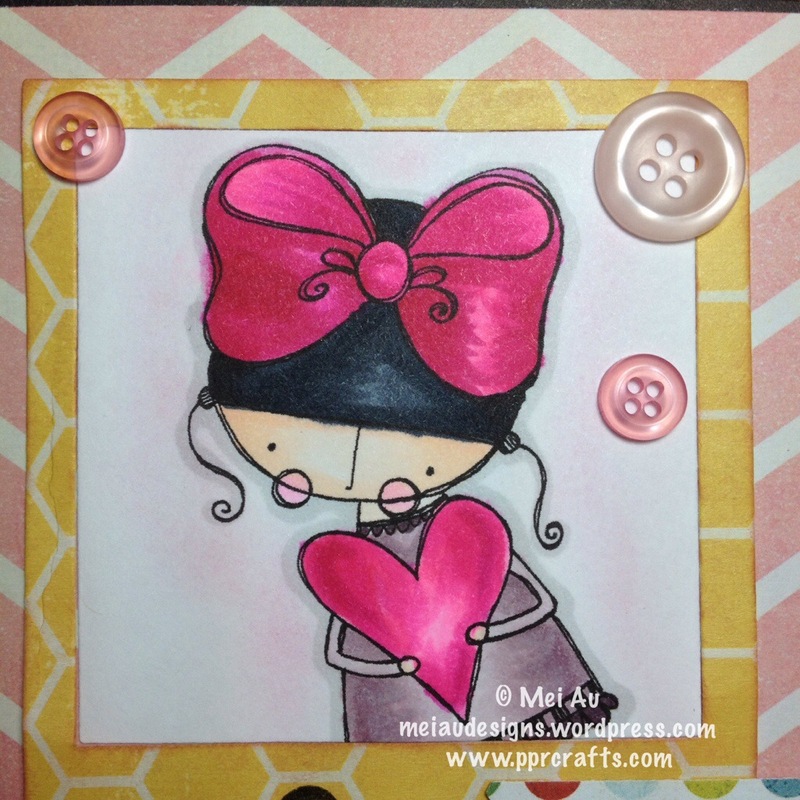 This is the sketch I used from Sweet Sketch Wednesday! 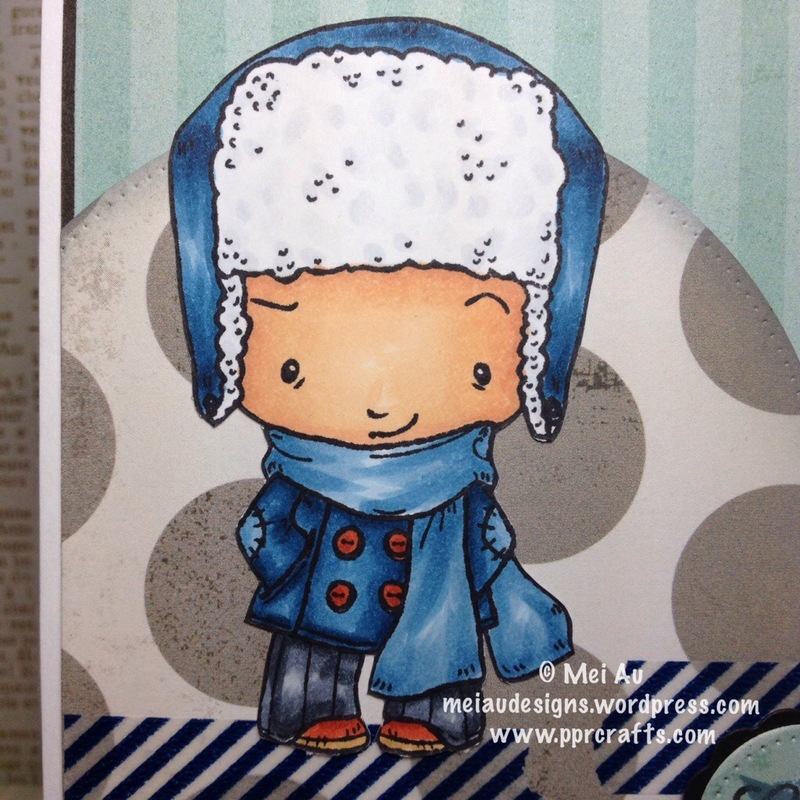 Milk Coffee Stamps is having a DT call and when I found out, I was jumping for joy and whipped out one of the favorite digi’s I have on my computer 🙂 I used the digi Annabelle. Isn’t she adorable!? 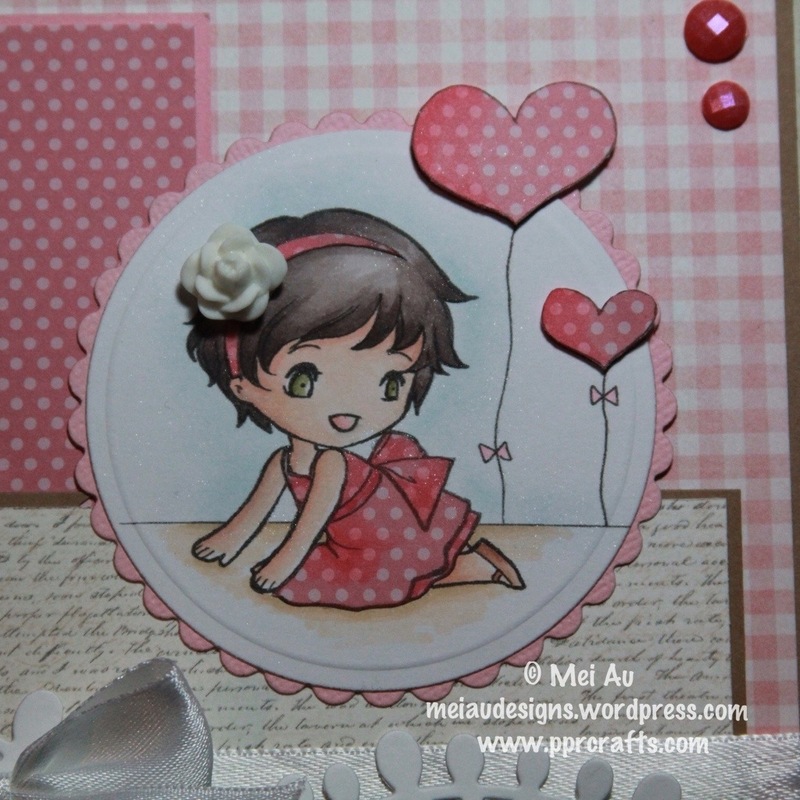 The theme for the challenge was paper piecing so I used the same polka dot pattern paper for her dress and balloons. I honestly have to admit paper piecing is NOT my forte, I normally avoid it at all costs. But for the sake of this DT call it’s gotta be done! I gotta say I really love how it turned out and who knows, I might actually make a second one with another fab digi in my stash!